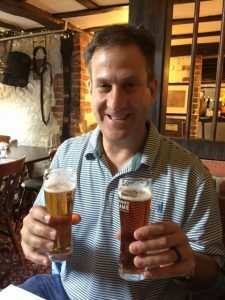 Part of Michelle Frumin’s surprise trip to Europe included five nights in England. Her ancestry is split between a village in Alsace, France; a village in Rheinland-Pfalz, Germany and then villages in West Sussex and Lancashire, England. We flew to England from Frankfurt on Lufthansa and once there, picked up a car (now we’re driving on the left!) and drove through heavy traffic on the M25 motorway around southern London to West Sussex. We stayed two nights in a gracious old mansion surrounded by lovely forest, filled with huge trees. Michelle had been in contact with a professional genealogist from Barcombe, who had been working for several weeks prior to our visit to uncover more about her roots there. Michelle met with him for more than an hour in his tidy home on the edge of the hamlet. Michelle’s 8th great-grandfather, John Box, left this area in 1622 for Virginia. 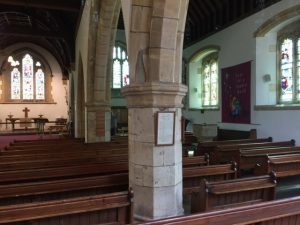 There is some work to do by the researcher, Ian Hilder, to determine the exact connection with Barcombe. 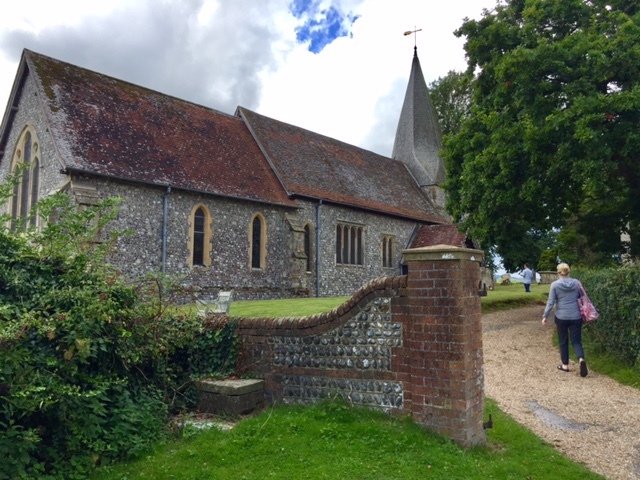 After the meeting and the exchange of information, along with hiring Mr. Hilder for further research, we drove over to the pretty church, St. Mary’s. The church is Norman in origin, so is about 1,000 years old. It has been enlarged in subsequent centuries, and it is surrounded by a very old graveyard. 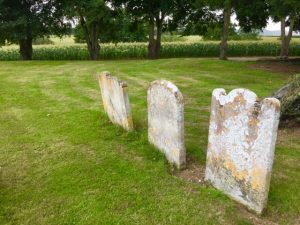 Unfortunately, the condition of old gravestones across England is so poor that attempting to glean any information from them is pointless. Most are made of sandstone and with the frequent rains, they just fade away. 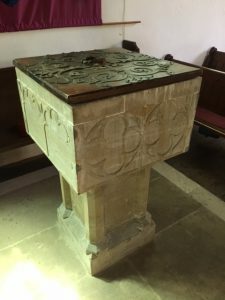 We wandered around inside the old church, taking note of the 13th century baptismal font. Using a recommendation from Ian, we adjourned to a nearby historic pub for lunch while the rain started falling. 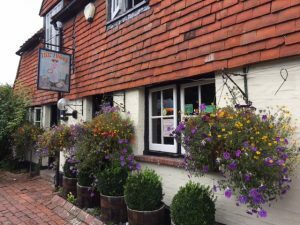 Posted in England Tours, Family History Tours and tagged ancestry, barcombe, england, european, focus, genealogy, private, research, sussex, trips.